On the heels of Incubus and the Psychedelic Furs – the two previous announcements for the 2019 Canalside Live Concert Series – a powerful double bill has been unveiled for this summer by the water. The Struts, an English glam-rock band, will be complemented by rapidly rising The Glorious Sons on July 25 at Canalside (44 Prime St.). VIP tickets are on sale now for $35, while general admission tickets – just $5 – will be available at 10 a.m. April 12, also through Eventbrite or at Consumer’s Beverages locations and the Canalside info kiosk. 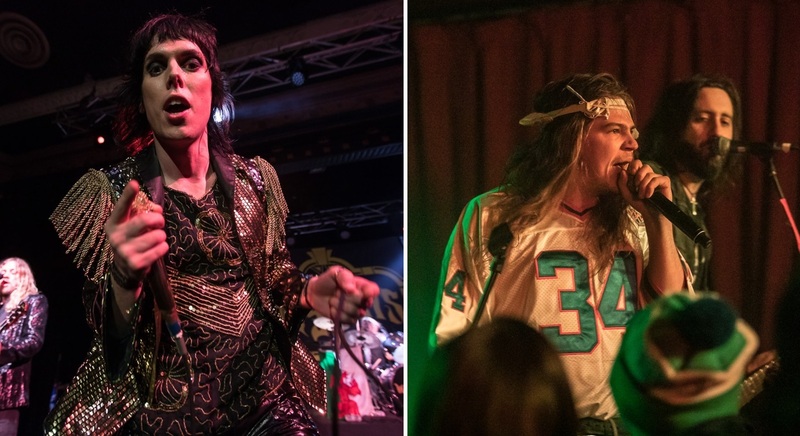 Freddie Mercury-esque frontman Luke Spiller and the rest of The Struts are regulars in the Buffalo area, playing Rapids Theatre each of the last two years. See Smiles from the local fans from 2018 and 2017, plus a photo gallery dedicated to band shots in 2017. Esquire’s interview with The Struts last month – entitled “The Struts Are the Glam-Rock Style Gods We Need Right Now” – gives a sense of the band’s M.O. The Glorious Sons, from Kingston, Ont, is a more recent arrival to the scene, selling out Rec Room in February. Those fans were treated to frontman Brett Emmons donning a retro Thurman Thomas Bills jersey on stage during a sweat-drenched set. The band’s last full release was 2017’s “Young Beauties and Fools,” which included mega-hit single “S.O.S.” that earned the five-piece a new wave of fans.